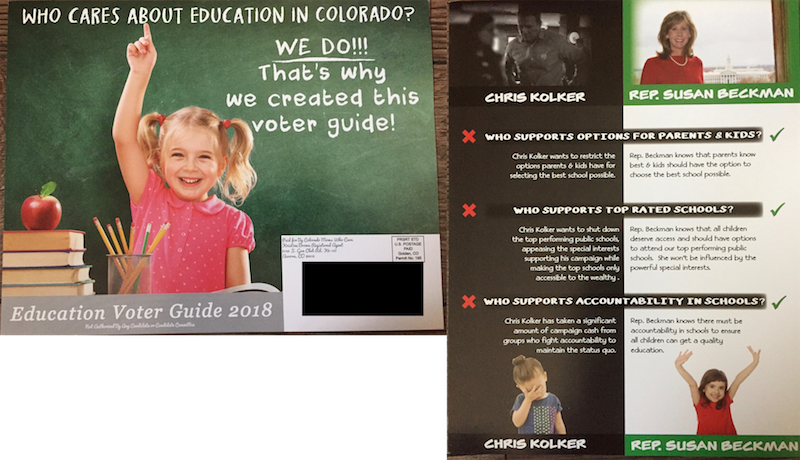 This mailer from conservative super PAC Colorado Moms Who Care differentiates Republican state Rep. Susan Beckman from Democratic opponent Chris Kolker in House District 38. While it tries to paint a scary picture of Kolker, the group cites not sources for its claims. It is virtually identical to another mailer in a different House district.